Travelling with Diabetes Type 1 – a Practical Guide. 2 Travelling with Diabetes Type 1. 2.2 What sort of Problems may people have when they travel with diabetes? 2.3 The advice I give my patients who travel with diabetes. I’m so excited to introduce to you my new travel health series. 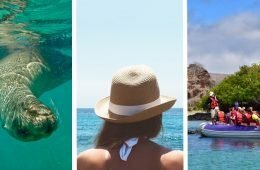 In each article, we will be talking about travelling with a chronic illness such as this post about what it’s like travelling with diabetes. You may have gathered from the name of this website, that alongside blogging about travel, I am also a family doctor. I qualified as a general practitioner in 2016 after 10 years of medical training and I’d love to use some of my medical knowledge to help people travel more. Travelling with a chronic illness can be really daunting. Heck travel without a chronic illness can be daunting. So add a chronic health problem into the mix and I can imagine at times it can get pretty nerve racking! That said, life is for living and I believe if you want something bad enough, you’ll find a way to make it happen. 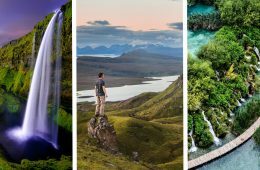 If you want to see proof of this, just head over to this post which features 10 inspiring stories from people who travel despite the odds. Seriously, some of those stories had me in tears, they were so moving. One of the things I love about being a general practitioner is the holistic side of family medicine. The consultations I come away from feeling most satisfied from, are those where I’ve been able to help a patients quality of life, not just diagnose or manage their illness. And quality of life often means being able to do the things you love and for many, that will be exploring the world. So this prompted the idea for this new feature. In each episode of this travel health series, we will be looking in detail at one chronic health condition. 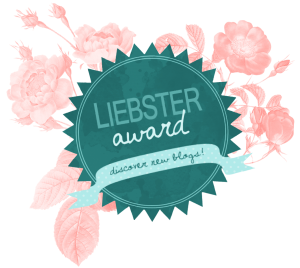 Each will be a collaboration with myself as a doctor and another blogger who has the medical condition in question. Together, we will help break down the barriers which may have stopped you travelling so far and give you practical advice and tips on how to manage your health condition when you travel. Travelling with Diabetes Type 1. So the very first article in this series is looking at travelling with Diabetes Type 1. Diabetes is a common worldwide health problem with huge health and lifestyle implications. Often diagnosed at a young age, many newly diagnosed Diabetics will worry that life will never be ‘normal’ again. 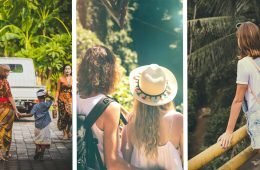 Yet Diabetes, if managed properly, should never hold you back and together with Loui from www.type1traveller.org, we will aim to show you how and why to travel with diabetes! What is Diabetes type 1? What problems diabetics face when they are travelling. Diabetes is a lifelong health problem where there is too much sugar in the blood. This happens when there is not enough insulin to regulate the sugar levels or the body becomes resistant to insulin. In Type 1 Diabetes, the pancreas stops making insulin which is used to help regulate sugar levels, therefore, the sugar level in the blood goes very high. This can make you pass more urine than normal and get very thirsty as your body becomes dehydrated. Diabetes Type 1 comes on very quickly and can make you very poorly. The symptoms include excessive thirst, passing huge amounts of urine, fatigue and weight loss. There are many complications which can arise from having too much sugar in the bloodstream such as damage to the nerves, eyes, kidney and an increased risk of infections. The good news is that if Diabetes is handled well and the blood sugars are monitored carefully, diabetics can live a long, healthy, happy life. Usually, type 1 Diabetes is managed by injecting insulin at various points through the day. Some diabetics have to calculate the amount of carbohydrates that are in each meal so they can decide how much insulin to inject. Whilst it’s important to prevent the sugars from going too high, very low blood sugars by over-treating with insulin can be very dangerous and lead to a ‘hypo.’ When this happens, the person will need to have something sugary quickly to increase the sugar levels. If you are travelling with a diabetic and they become drowsy and confused, it’s important to give them a sugary snack or drink as soon as possible. Often diabetics will carry high sugar snacks and gels with them just in case. What sort of Problems may people have when they travel with diabetes? It’s important that Insulin doesn’t get too warm as it can spoil and become ineffective. Blood sugars can be more erratic when you are eating different foods to normal or not eating at regular intervals. Diabetics are more prone to infections and can get sick if they cannot regulate their blood sugars. If a diabetic traveller has their bags stolen, they will need to get access to more insulin very quickly. Since Insulin is needed at frequent intervals and timed with meals, diabetics will need to carry their medications and needles in their carry-on luggage. This is not usually a problem but it’s advisable to get a letter from your doctor and keep a copy of your prescription with you. The advice I give my patients who travel with diabetes. Always take more insulin than you think you will need – I recommend 2-3 x your normal amounts. Split your Insulin between your main bag and day bag therefore if one is stolen, you still have more. Even better, if you are travelling with a friend or partner, ask them to store some of your insulin in their luggage. Carry a doctors letter outlining your condition and your medication regime. This can be helpful at airports when you are bringing needles in your hand luggage. It’s also useful if you need to get more diabetic supplies or get admitted to hospital. Inform your Diabetic team that you are travelling. Your specialist Diabetes nurse will be a fountain of information and give you lots of ‘what if’ advice. Look up your insulin manufacturer and check if your type of insulin is available where you are travelling. If it’s not discuss with your diabetes team what alternative would work for you. are particularly useful as they won’t take up much room in your luggage. Pay close attention to how much sugar is in food that you are not familiar with, monitor your blood sugar levels closely. Try to eat at regular intervals even when you are crossing time zones. Take extra precautions to avoid getting sick whilst you are away. Stick to bottled water (or use purification tablets or a steriliser pen,) always wash fruit in clean water or choose fruit you can peel. Make sure your food is piping hot and prepared in a hygienic way. Also, avoid drinks with ice and reheated rice. Wash your hands frequently and seek help early if you get poorly. Consider wearing a medical ID bracelet to inform people that you are Diabetic if you can’t tell them yourself. They make some really lovely ones now which look like jewellery! Now over to Loui, from www.type1traveller.org, a type 1 diabetic who blogs about travelling with diabetes. Loui answers a lot of questions that many newly diagnosed diabetics may have regarding diabetic travel. 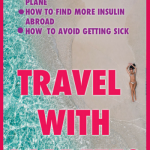 Well, I was diagnosed with type 1 diabetes in 2012 just before my 22nd birthday, and soon realised that a lot of people with the same condition seem to let it stop them from doing certain things, with travel being one of them. 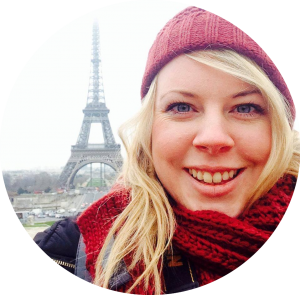 After I made my decision to travel I thought it’d be a good idea to write a blog about travelling with diabetes. 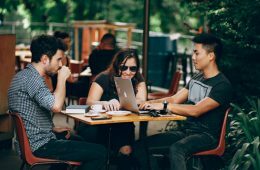 I started blogging to let people know that type 1 diabetes (and other lifelong conditions), doesn’t have to stop you from doing anything. I try to cover supply access and things like that in various countries, and whether I’ve had any issues. If there’s nothing type 1 relevant, then I just write about the places themselves. Where have you travelled to so far? I left in 2016 and travelled to India, Nepal, China, and Vietnam; all for a few months at a time. I’ve been back to India since as I love it there! When did your Type 1 Diabetes get diagnosed and how did you feel at the time? I was diagnosed in October 2012, and at the time didn’t really think too much of it. I’d known a few people with the condition and so didn’t see it as too much of a problem. It was only after a few months that I realised that it was something that I’d just have to put up with for the rest of my life. How does Diabetes affect you in day to day life? It doesn’t bother too much day to day, but it’s generally the little things that sometimes annoy me. Such as not being able to quickly have a snack without checking my blood sugar and injecting. The rest of the things I’ve kind of gotten used to; it’s odd how you get so used to injecting before eating that you kind of forget what it was like before. Did you have any concerns about travelling with Diabetes before you went away? Yeah, I was a little worried about being able to find supplies. I knew that type 1 diabetes is a worldwide problem, but I was worried about the language barrier and things like that. I packed lots of insulin and needles etc to last me a few months, but as soon as I get to a new country that I plan on being in for a while, I find out the medical situation straight away, just in case anything happens to my supplies. Is it hard to get travel insurance for diabetics? Have you had any issues? 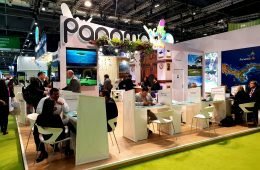 Do you have any travel insurance companies that you would recommend? I’ve never had any problems, no. 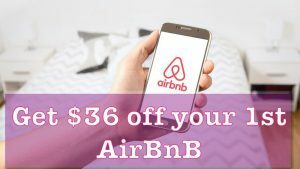 However, it can add a fair amount to your quote and I didn’t really find any major difference in price between companies. I used a company called ‘True Traveller’, and for what I needed they suited me fine. 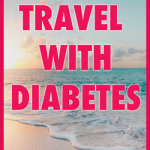 I’m sure many peoples families are anxious about their loved ones travelling with Diabetes, especially if they are young and travelling alone for the first time. Do you have any tips on how to approach discussing their concerns and reassuring them? Yeah, I remember my parents being very worried about me travelling for a long time. 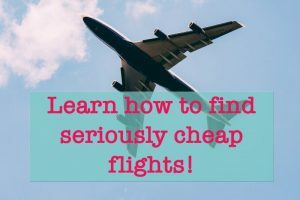 My advice would be to just do a bit of research into each country you’re planning on visiting, and to remember that Insulin is needed in every country, so one way or another, you’ll find what you need. Also, take down the email and contact details for your doctor, and ask them for any advice if you can only find a certain type of insulin that isn’t your normal one; your doctor will know whether it’s okay and will advise on different dosage if needed. I’ve been lucky that I found my insulin in every country I’ve been to and so haven’t had to change, but I contacted my doctor when I was sick once to find out a bit of info. Is there anything you do differently when planning your trip, because of your Diabetes? Not really, though if I’m travelling for extended periods I’ll stock up on more insulin. Many people worry about carrying insulin and needles on a plane. Have you had any problems? How did you get around them? This worried me at first, but it’s easy to get a note from your doctor or hospital etc and carry a few copies of it with you. If you ever get stopped, just show the relevant people at the airport the note plus whatever it is you’re carrying. Also, remember that your insulin pen needs to be put in a plastic bag when going through security; I’ve been stopped a few times because I simply forget! I can imagine keeping to your usual diet and routine is difficult on long flights and when changing time zones. How do you handle this? I learnt quickly to just take some food on the plane myself, something that I can carb count easier than the plane food, like a couple of sandwiches etc. I can’t really say much about time zones as I’ve only ever gone 6hrs ahead at one time, so nothing really changed. The only thing that can be an issue is the long-lasting insulin taken at night, but if you’re really worried, it’s not a massive deal to just skip one night and start fresh the next day. A concern many diabetics seem to have is how to store your Insulin and keep insulin cool in warm climates, especially on longer trips. Do you have any tips to help you keep your insulin cool? FRIO packs before I left, and I’ve bought more since then. They’re great and last a couple of days; perfect for if you’re travelling for a day on a rickety bus in the heat. All you need, to use them, is some cool water to soak them in before you leave, and that’s it! Have you had any problems accessing diabetic supplies abroad? I got a bit panicked in Nepal as I wandered around for a few hours trying to find somewhere in Kathmandu that supplied Insulin. In the end, I found some and went back a few times. Other than that I’ve not had any issues. If you’re ever a bit stuck, most Asian countries have many pharmacies near hospitals, and you’ll find supplies there, over the counter and generally far cheaper than back home! Are there any countries which have been particularly easy or hard to travel to with Diabetes? 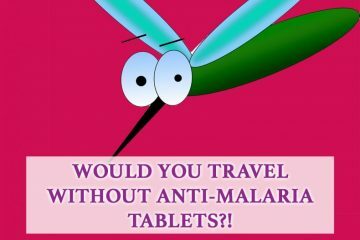 Have you ever gotten sick whilst travelling? What happened? Unfortunately yes. I ended up in a hospital for a week with ketoacidosis earlier this year. I let my guard down with some not-so-fresh water and I was sick for a couple of days, which for one reason or another sent my blood sugar levels sky high. This was the first time I’d ended up sick from type 1 diabetes too, so to be very far from home and quite ill was a bit of a worry. But I was looked after and treated well so I can’t complain! Are there any diabetic travel resources you can recommend for more tips for travelling with Diabetes? I find the official documentation from medical companies quite poor in terms of travelling with diabetes, so the best way is to either use social media to ask questions or to read blogs. There are a few diabetes and travel blogs out there now, but when I started I had to find a lot out for myself. Do you have any other tips for travelling with diabetes? Just remember that there are type 1 diabetics in every country, and these people need supplies, too. If you ever get worried before heading somewhere, do a bit of research or email hotel/ hostel staff in advance about pharmacies etc. Usually, they’ll be able to advise on places to buy supplies, or will know a way of finding them for you. Also, always keep a few supplies on your person, just in case your luggage/ backpack gets stolen or goes missing. I’ve heard stories about people losing all of their supplies because they left them all in their main backpack. Lastly, just be a bit wary of where you inject. I was pulled to one side in China because I openly injected while stood in the street, and local police asked me a few questions about what I was doing. It was fine in the end, but it’s just an inconvenience that is unnecessary. Thank you Loui, so much useful information there! 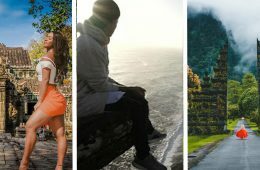 If you are a Type 1 diabetic who wants to travel more, I highly suggest you follow Loui’s blog for more tips to help you manage your Diabetes abroad. You can follow Loui on Twitter, Instagram or Facebook. 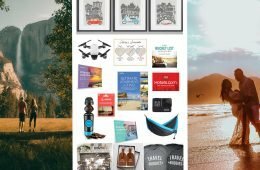 Don’t forget to stock up on these diabetic travel essentials! Frio bags are a great way to keep your insulin cool and therefore prevent them from spoiling in the heat. These compact bags keep your medications cool for 45 hours and take only 5 minutes to recharge by adding cold water. Medical ID bracelet – these ones on Etsy are really pretty and come in your choice of silver, gold or rosegold. They could easily be mistook for a piece of regular jewellery! A copy of your prescription kept on your person. Check if your insulin will be available in pharmacies in your chosen destination. 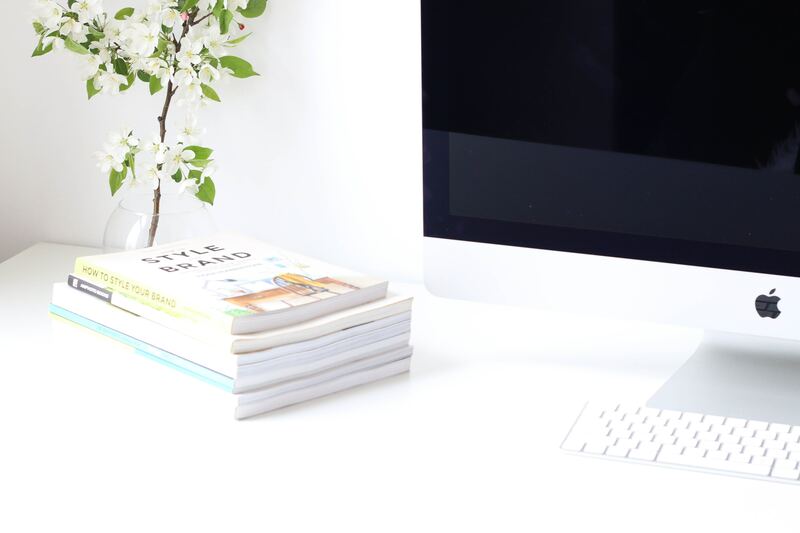 Have you found this article helpful? 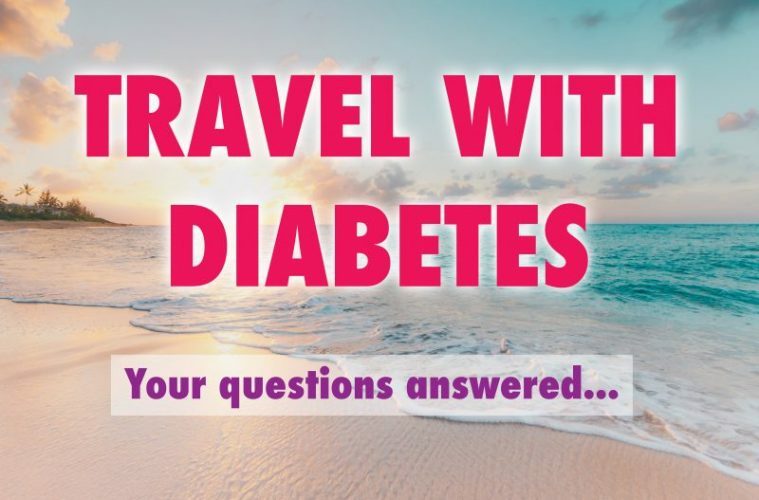 Do you have any other questions about travelling with diabetes? If so, please let me know in the comments and I’ll do my best to answer them! 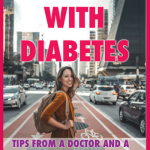 If you think this article would be helpful for other diabetics, please help me to share it by sharing this post on your facebook, twitter or Pinterest accounts! Thanks a million! Previous ArticleSlapped in the face by an eagle & other wild animal encounters!